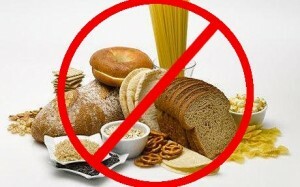 3 Reasons Why Slashing Carbs Helps You Drop Ibs. Atkins, Keto and other low carb variations have been touted as amazing ways to drop weight. We have all seen the “amazing” before and after shots from fitness companies that show dramatic weight loss in a very short space of time and promise us the same wonderful results. However these results are often achieved by going EXTREMELY low carb (even carrots are banned) and the results are often reversed shortly after the client returns to their regular way of eating. Sure low carb diets can work, they can be sustainable for some and there are possible associated health benefits but it isn’t an across the board prescription for everyoneNonetheless, I want you to know that there is no magic behind dropping your carbs so low. Here are 3 of the reasons why low carb diets can help you drop Ibs. 1 – Calories Are CutLet’s face it, carbs are tasty!They can effortlessly be overeaten and by eliminating them it becomes quite easy to drop our daily calories. To lose weight you have to create a calorie deficit (taking in less calories than you need to maintain your current weight) and by cutting this macronutrient it becomes a lot easier to create that deficit. Breads, pasta, cereals, pastries, chocolate, fruit and even some vegetables are all stripped from the diet and for many people this can be the majority of their everyday foods. All these highly processed, calorie dense and rewarding foods are now gone. When these are cut out it’s easy to see how a calorie deficit is created and therefore scale weight drops! 2 – Water Weight GoneSo the body stores carbs as glycogen.Glycogen draws water into your muscles.The more glycogen in your cells, the more water you can hold. When we cut carbs we deplete our body’s glycogen stores.As a result we hold less water. 3 – Protein Is IncreasedSo when you cut out carbs it needs to be replaced by something. Usually this results in people eating more protein.Now by eating more protein you can reduce your appetite and in turn eat less. Protein will also burn more calories when you body is digesting it and this comes as a secondary benefit to higher protein consumption.So higher protein on a low carb diet keeps you eating less while also burning more calories! Now we could dig deeper into the hormonal effect that carbs have on leptin, ghrelin and insulin but the reasons outlined above are the primary causes behind the weight loss found on a low carb approach. Hopefully this gives you something to think about as this method will suit some and will not suit others.I advise all our members before they try anything new to simply ask themselves “is this enjoyable, sustainable and something that I can see myself still doing 6 months down the line?”If the answer to this is no, then maybe this route isn’t for you! Feel free to drop me a PM if you need advice on this method.